AWWWW MASHALLAH! he is so cute 🙂 Handsome handsome little Boy! Btw, I HEART Anais. Beautiful writer! aw beautiful – the picture and quote! how are you and auz doing? Can I bite his cheek just a little? Please?? 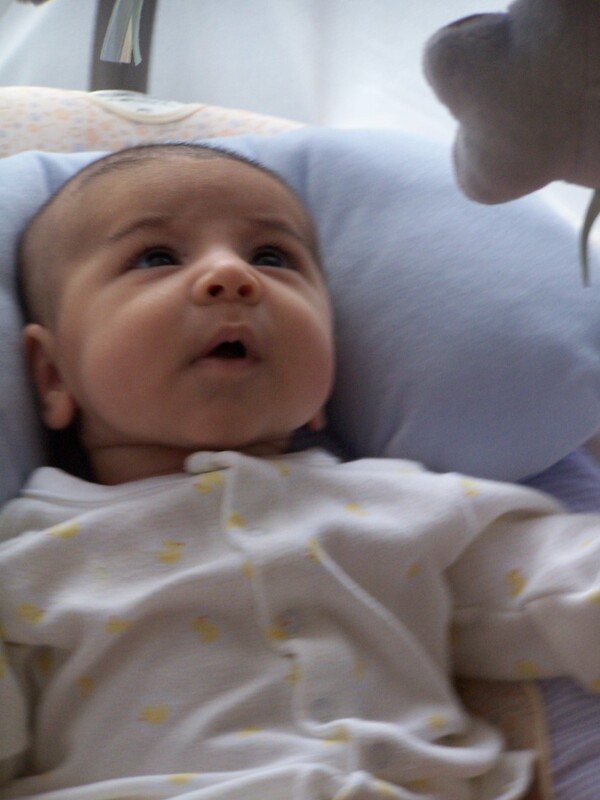 He is soooo cute and cuddly masha Allah! I am also an Anais Nin fan!!! and I love what you have written with the pic so apt. how are you? update? thanks ladies..i love being able to unabashedly gush here!